Destination Knowlton >: Action Plan or Fantasy Land? The Brome Lake Center is open and running and residents are using the facility more and more and turning it in to the new heart for the town of Knowlton. The pride and joy at opening the center in January has not faded but at the same time residents have some issues that can now be brought back to the front-burner now that the holidays are over and the grand opening is behind us. The ongoing concerns for the health of Brome Lake are again being discussed more and more. The town has chaired several meetings with experts, consultants, and environmental groups like Renaissance Lac Brome to come up with an action plan to help reduce pollution in Lac Brome and try and prevent the ongoing battle with blue green algae from again closing the lake and causing a loss of tourist dollars in the region. The town has announced that the engineering firm Teknika will be overseeing the preparation of a plan of action for Brome Lake. By assessing studies and looking at environmental solutions the town wants to bring together the best minds to be able to move forward with fixing the lake in the best possible way. Teknika has stated they will be only looking at studies and evaluations from sources that are not older than five years which is a positive step as it means they will be using the latest data on dealing with phosphates and lake mechanics in developing their action plan instead of outdated materials. It is unclear if Teknika will be focused primarily on preventing the further pollution of the lake or if they will also offer solutions to dealing with the pollution that has already accumulated over the years in the lake and is likely causing the yearly algae blooms that have lead to the closure of beaches on the lake. Indeed Teknika has worked with the town on many projects over the years and the firm has been working on various engineering projects since the 1920's and the town is relying on their track record of completing large and technical projects. As consultants, the firm will be able to study existing techniques in reducing problem causing nutrients like phosphates, and create a "plan of action" although the expertise Teknika has in dealing with an environmental project involving a complex eco-system is not really clear. Their portfolio of projects includes mainly large structural designs of mechanical infra-structure systems like bridges, roads and large scale treatment stations leading some to wonder if their proposals will be similar to their current expertise and mean building large holding basins, diverting waterways and using constructed wetland systems as solutions. If the plan of action calls for constructing of collection basins, involving pumps, drainage, pipes, concrete basins and underground networks of water treatment systems then their plan of action might be a multi-million dollar proposal involving many of Teknika’s favorite contractors. Their record of water treatment plants, electrical engineering projects and urban infrastructure mega-projects is indeed impressive but is Teknika the ideal firm for dealing with something that is less about plans, rulers and pencils and more about repairing a living organism? The town seems to think so. The town has a long history of working with Teknika on projects and continues to do so with projects like the supplementary study on the Fisher's point sewer project, the supplementary study on Rock-Island Bay and Foster village sewer project and the works on Grove Street and Landsdowne Street. Mandating studies to Teknika seems to be a common practice for the town and clearly Teknika has earned many awards for their projects which include building theatres, condominiums units and Acetone storage and recycling facilities among others. Some residents, including some members of Renaissance Lac Brome, are unclear as to the process. Apparently Teknika will be tabling their report in April or May and Renaissance Lac Brome has concrete actions they want to take with the lake early in the Spring and are unclear as to how to work with Teknika. Town council is to hold more meetings with all parties involved and hopefully the direction of the project will take on more focused form. Likely Teknika will come up with a plan of action that will require further study and knowing their portfolio of projects it is also likely their solutions will involve millions of dollars in structural changes around the town of Lac Brome. Any recommendations that come out in April or May will likely require more study and so the money being spent on the action plan is also buying more time for the town. The problems of the lake are not new or surprising and there has been a long history of heel dragging when it comes to anyone stepping up to the plate to attack the problem with conviction. Many feel that getting the "experts" at the Ministry of the Environment to work with a traditional old-school engineering firm is a recipe for disaster. Engineering firms like to impress their clients and this often means big budgets. One look at the plans for the development of the park around the Brome Lake Center show the scope of Teknika’s vision: it is, as Donald Trump would say, "huge"! The proposed plan for the the layout of the property on Victoria Street around the Center are absolutely mind-boggling! The extravagance of their design is incredible: an outdoor swimming pool, tree lined walking paths, a climbing wall, and a BMX (?!) 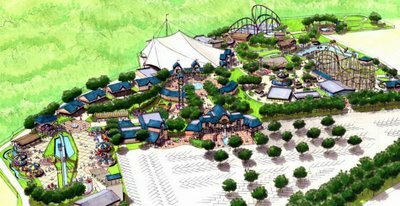 race track, a basketball court, the plan looks like something out of Walt Disney world and some folks think this shows that Teknika is not the right firm to propose realistic solutions for the lake. The town is spending money for plans for a veritable fantasy park in Knowlton and now more money will be spent on a plan for a lake that could be just as extravagant and unrealistic. Perhaps, instead of using the old-boys network philosophy, the town could invite the slew of leaders from similar lakeside towns and cities who have successfully dealt with similar problems to give them the recipe for treatments. 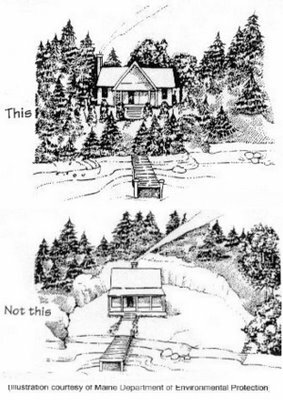 Nearby states like Vermont have dealt with problems in a very pro-active way and have many strict environmental rules to follow and work hard at educating the citizens as to what is best for their lakes and there are studies from US government bodies that outline concrete steps to reduce problems like we’re having with Brome Lake. Hopefully more and more residents will get on-board with the more proactive groups like Renaissance Lac Brome to actually do something about the problem. It is up to us, especially those who live and operate businesses around the lake, to take action. If you have an infestation of ants in your house you don't do a study on the problem do you? If you do an engineering firm will recommend raising your house six inches off the foundations with hydraulic jacks and sealing the bottom with polyurethane to prevent ants from entering the house! What you do is go down to Flannigans and ask for the best product for controlling ants, you lay out the anti-ant powder and keep your front door closed! Problem solved! Sure, the lake is more complicated than this analogy but most residents can agree that a plan of action needs to be drawn up but even more importantly we need the leadership to implement the plan of action that will work! Teknika has requested that any studies or documents regarding the lake or anything that may be helpful be forwarded to them which seem to suggest to some that they don’t currently have any extensive expertise in lake management. The State of Vermont has funding available to qualified organizations or businesses that have ideas, plans or methods that can assist in improving water quality. The local governments in the State actively seek out the solutions that can be offered by local groups and businesses for various lakes and river revitalization and rehabilitation projects. Environmental companies or groups are actually encouraged to assist in finding solutions in these jurisdictions. 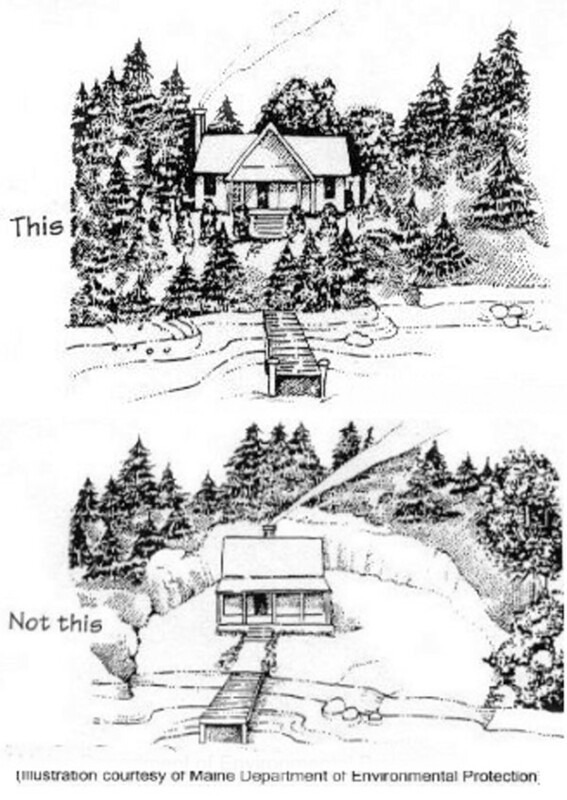 In our case it seems that the town prefers to not actively invite suggestions but prefers to ask their engineering consultants who have fixed many a road and sewer in the area to, in a few months, understand lakes and watersheds and aquatic systems adequately to create a plan of action. Of course Teknika has access to experts in all fields as they have hundreds of employees in all fields of expertise so they will undoubtedly come up with a plan. In May, 2006 the Canton of Orford Mandated Teknika to plan, consult and supervise work on the sewer extension and aqueduct on a single road extension and the cost to taxpayers will be over $29,000 and this doesn't include the actual work itself. It will be interesting to see the money Teknika will bring in to shareholders coming up with plans and plans and more plans for Brome Lake. The proof will be in the pudding.. let's hope it's not a pudding of floating blue-green algae! There have been concrete solutions offered to the town over the last five years even from the Ministry of the Environment itself and almost all of the recommendations made were ignored by the town managers. It will be interesting to see if the existing suggestions will be part of the Teknika plan and if there will now be adherence to the proposals? Then again, perhaps multi-million dollar projects involving construction of holding basins, pumping systems and mechanical settling basins is in the best interest of, well, that is the question: Is it in the interest of repairing the lake? There are existing issues with the lake that need ommediate action beyond renovating the infrastructure surrounding the lake to prevent future influx of contaminants. Will the plan-of-action address the existing problems or simply be a plan that involves even more studies and making Teknika and their partner contractors a little richer, at the expense of taxpayers, along the way? We hope, for the sake of the lake, we are finally on our way forward to restoring the lake and not heading closer to an "Olympic Stadium" style of project.